In 1870, the Midland Railway opened a small single platform passenger terminus in a corner of its extensive St Philips goods yard, in order to relieve pressure on the facilities it shared with the GWR at Temple Meads. For the next 80 years, Bristol (St Philips) was used almost exclusively for local passenger services via Mangotsfield to Bath (Queens Square), or Green Park as it later became. Situated off Midland Road, in the Old Market area of Bristol, it was more convenient for shoppers and workers than Temple Meads, especially when the new Broadmead development was constructed after the war. Passenger traffic survived until 1953, the station becoming, like many others, increasingly dilapidated after bomb damage during the war, while the goods yard remained open until 1967 – featuring in the excellent 1957 British Transport Films production ‘Fully Fitted Freight’, which is viewable on YouTube. The station featured a small (42’) turntable, which seems surprising when tank engines were used from the start on the passenger services. Photographic evidence confirms the turntable was in use up to the end. The station building was constructed of wood, in a style unlike any other of the stations on the line or other Midland stations in the area. 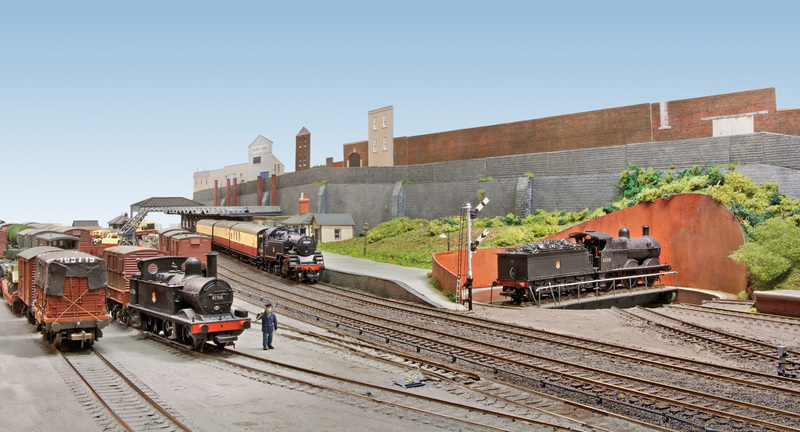 It, and the turntable, are tucked under an impressive retaining wall, which is today the sole remaining reminder of the station and yard complex. The area on which they stood is now a small trading estate. Operation was interesting in that the two approach lines were not designated ‘up’ and ‘down’, but were bi-directional separate ‘passenger’ and ‘goods’ lines. 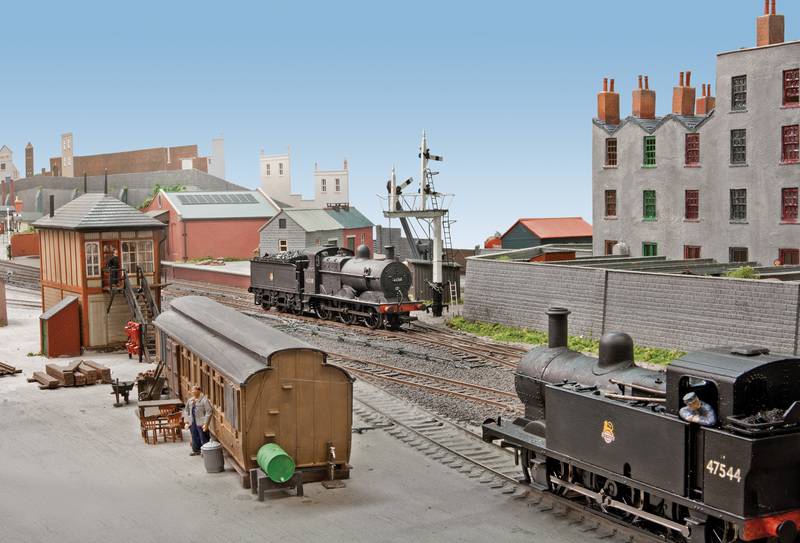 The model is of the passenger station and the first few sidings of the goods yard. 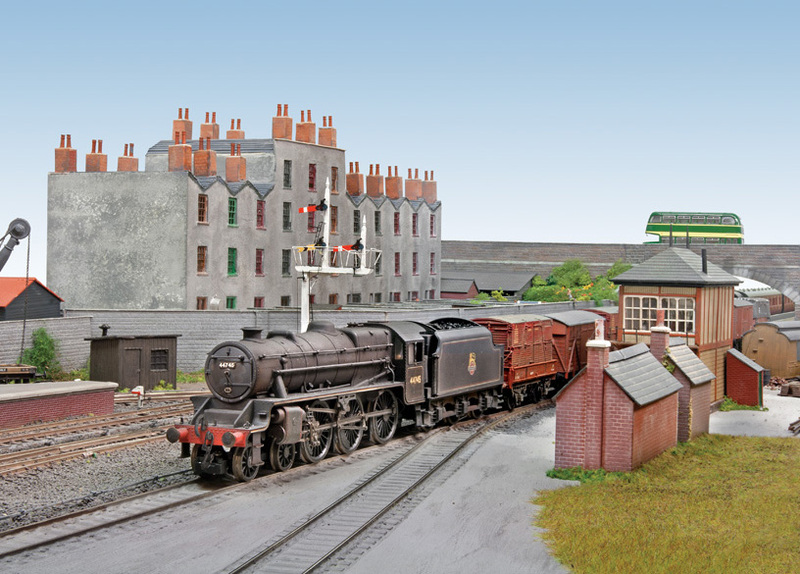 The scenic break is provided by Barrow Road bridge – also long gone – which, using modellers’ licence we have moved about half a mile closer to the station than it was in real life. 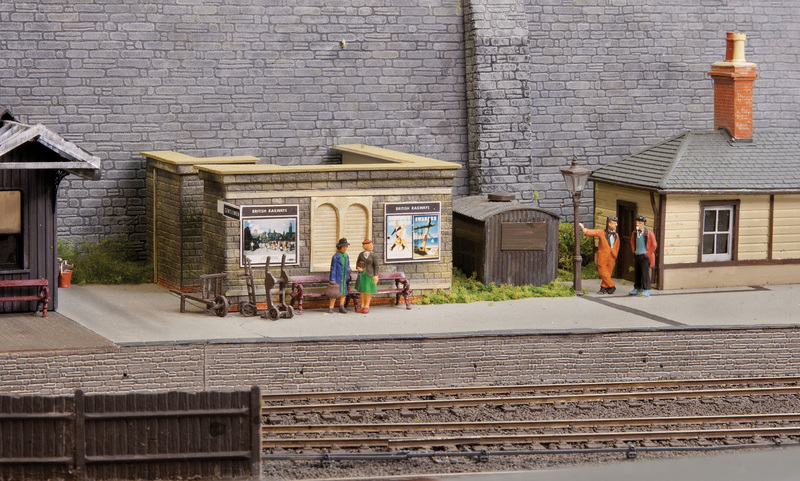 The model works on the premise that passenger traffic was sufficient to maintain services until the goods yard closed in the early sixties. 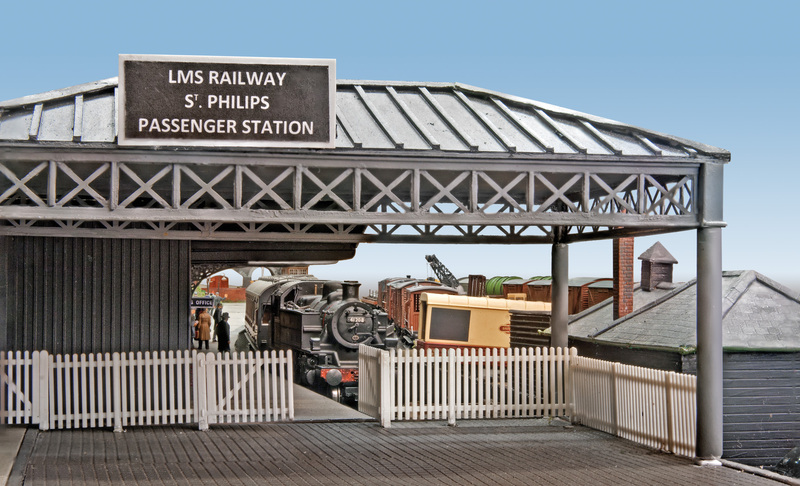 As in reality, the local passenger service is in the hands of a variety of tank engines, ex-LMS or BR standards, while goods traffic utilises a wide range of large and small locos based on the nature of the train, but all appropriate to the period and local shed allocations. Early diesels also make an appearance. The track used is all Peco code 75, laid directly on the baseboard. The turntable is a London Road Models kit. Control is entirely DCC. 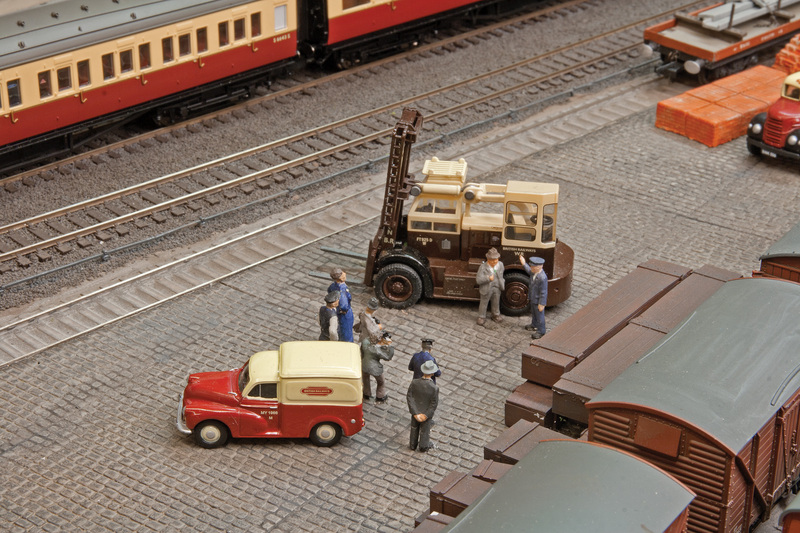 This includes not only the locos but also the points and the turntable, and means that we can dispense with the control panel generally seen on layouts, and miles of wiring under the baseboards. The signals are operated by servos below the baseboards. 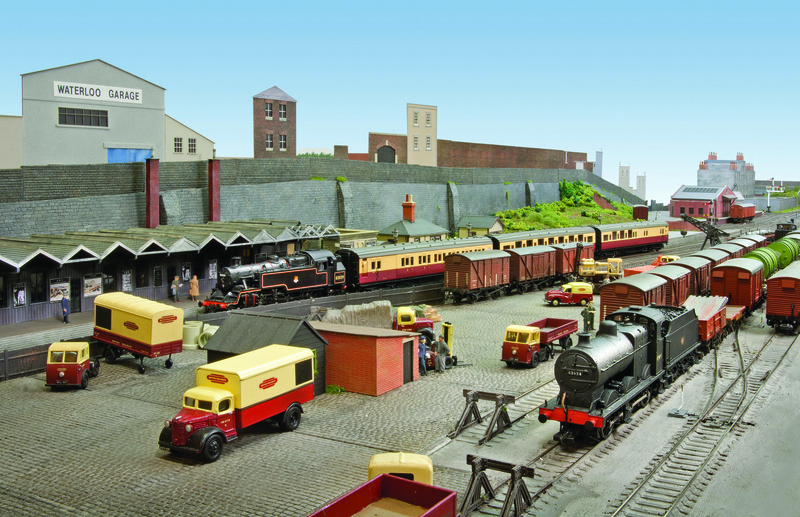 The layout was featured in the December 2017 edition of “Railway Modeller” magazine.